Gluten-free products are notoriously low in fibre, so we figure Lily’s not alone in her poo problem. We asked registered dietitian—and GFG guest speaker— Alexandra Anca for advice on what to do when you can’t poo. 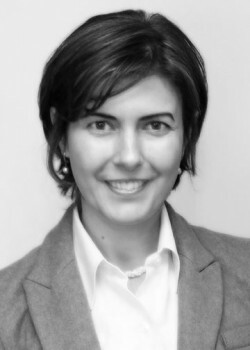 Alexandra Anca, RD, specializes in gastrointestinal conditions, with a special focus on celiac disease and food allergies. She is on the Professional Advisory Board of the Canadian Celiac Association (CCA) and is lead researcher of the Pocket Dictionary (the 4th edition is available through the CCA website or by calling 1.800.363.7296). Alexandra is also the author of the Complete Gluten-Free Diet and Nutrition Guide (2010) and the Total Food Allergy Health and Diet Guide (2012). Constipation, which is very common in people with celiac disease, is defined as having a bowel movement less than three times per week. A low-fibre diet: Switching to low-fibre gluten-free products made from rice, tapioca, potato and corn flour can significantly impact your daily fibre intake and, in turn, speed up the onset of constipation. Increased reliance on refined and processed foods that lack any significant amount of fibre can also slow down the bowels. High-fat diets: Frequent intake of fried fatty foods, high-fat meats, cheese and fried eggs slow down digestion and the movement of food through the digestive tract. Ignoring the urge to have a bowel movement: Bowel muscles have a rhythmic and habitual way of working. Whether you are too busy or whether you want to avoid public washrooms, ignoring the natural bowel habits can result in long-term changes in the way your muscles respond. Stress, anxiety and mood changes can also slow down your bowels. Lack of adequate fluid: Water, herbal tea, broth-based soups and natural fruits and vegetables reach as far as the large intestine, where they are re-absorbed. Not having enough fluid (2.5 to 3 litres daily) can impact how well your bowels move. Lack of physical activity: Sedentary lifestyles and certain medical conditions that limit physical activity can contribute to the onset of constipation. Antiobiotics: Using antibiotics can eradicate the good bacteria in your gut. Studies show that this may cause bacterial overgrowth, leading to methane production and a slow-down in gut motility. Other medications and medical conditions can also lead to constipation. Slowly increase your fibre intake: People on a gluten-free diet should have no more difficulty meeting their fibre requirements than those on a regular diet. However, you need to be conscientious about the amount of fibre in foods and, more importantly, how slowly you introduce them. All you need is awareness and a bit of planning. Fibre is like all other nutrients in that more is only better up to a certain point. There are two types of fibre: soluble and insoluble. Insoluble fibre speeds up transit time of stool through the intestines and helps relieve constipation. Most high-fibre foods contain a mix of both. Men and women over the age of 18 should aim for at least 21-38 grams of total dietary fibre each day. For children aged 1-8 years, the Institute of Medicine recommends between 19-25 grams of fibre each day. Excellent sources of insoluble fibre: ground flax seeds, ground chia seeds, legumes (these cause bloating and gas, which may be alleviated with an enzyme supplement), most cruciferous vegetables—broccoli, cauliflower, Brussel sprouts (these may also cause bloating), and nuts. Take probiotics: Aim for a wide-spectrum probiotic that delivers at least 10 billion active bacterial cultures per dose. Drink lots of fluid: For every 2.5-3 grams of fibre added to your diet, plan to add an 8-fluid-ounce glass of water, herbal tea or a bowl of broth-based soup to your diet. Do aerobic exercise: Walking, jogging and biking are examples of exercises that are helpful in preventing constipation. Aim for at least 30 minutes of moderate aerobic exercise each day. 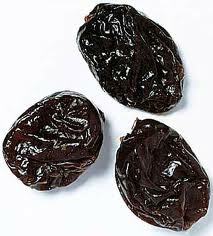 Eat prunes: Prunes are a good source of fibre and also contain a natural laxative. You may use them occasionally to relieve constipation. Mix well and place in a tight lid bowl. The mixture keeps well in the fridge for up to two weeks. It may be used in hot cereal, yogurt or on its own. Start slowly, with 1-2 teaspoons daily for 3-4 days and increase to 1-2 tablespoons a day.